If you are looking to make the switch to a cleaner, greener home, I have 9 solutions you should try. These can be found in your local grocery store or whole foods market. Some of these items may already be sitting in your kitchen right now! 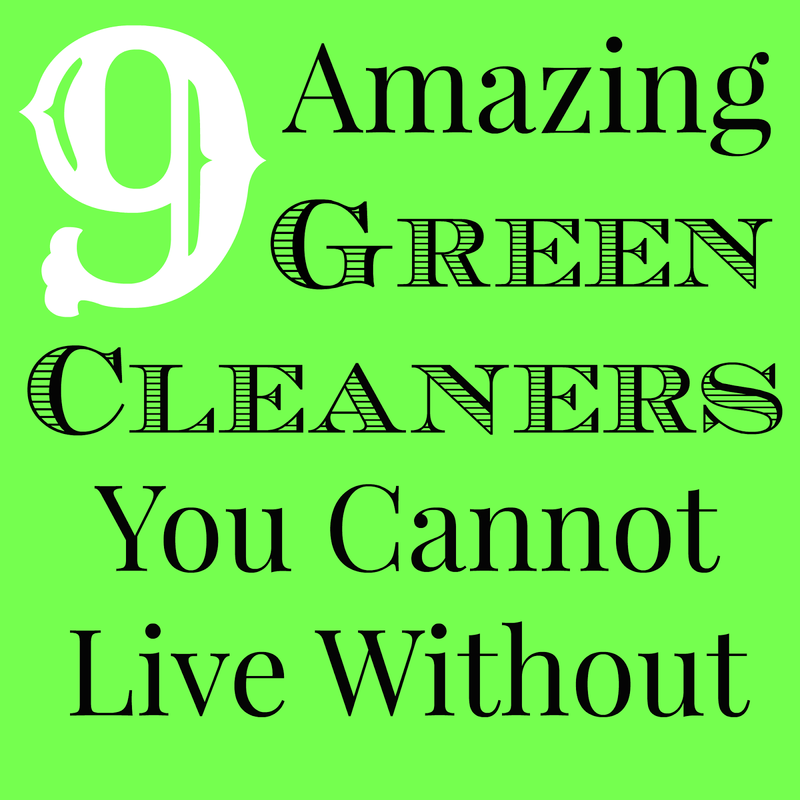 Not to mention these green cleaners are simple, cheap and best of all- EFFECTIVE!! 1- White Vinegar- My personal favorite. Vinegar is a highly antibacterial product that kills 99% of bacteria, 82% of mold, and 80% of germs. Vinegar is awesome at cutting grease, dissolving soap scum, removing mineral buildup and softening water. 2- Baking soda- My second favorite. Baking soda is a natural mineral that comes from soda ash. It has amazing neutralizing, odor absorbing and water softening properties. It also absorbs grease and provides a non abrasive texture for scrubbing counter tops, sinks and bathtubs. You can also use baking soda for whitening and brightening your teeth. 3- Cornstarch is another item that I use heavily in my home. It is very similar to baking soda and is used for absorbing oil and grease; but can also be used for making a natural spray starch for clothing, a dry shampoo, or an additive to homemade deodorant. 4- Borax is a natural occurring alkaline mineral and is great for boosting your laundry, disinfecting and deodorizing. I use borax in my laundry and to clean my kitchen floors.If ingested borax can be harmful so keep out of reach of children and pets. 5- Washing soda is just like borax and baking soda because it is a natural occurring mineral and is a great alternative to commercial household cleaners. Washing soda is good at cutting grease and clothing stains. I use washing soda, along with borax in my homemade laundry detergent recipe. Because washing soda is caustic, you should wear gloves when cleaning. 6- Lemon juice is awesome for dissolving grease, mineral buildup, removing tarnish and whitening clothes. Lemon juice is an antiseptic and a deodorizer. I use fresh lemon juice in my homemade all purpose cleaner. 7- Hydrogen peroxide is a natural disinfectant and a bleaching agent. It is effective at removing stains from clothes and mold from the shower stalls. I also use this once a week along with baking soda to brush my teeth. 8- Salt. Who new? Salt is naturally abrasive and is good for scrubbing bathtubs, sinks and shower stalls. It's also a natural deodorizer which is a plus. For a really effective homemade soft scrub recipe, check here. 9- Essential oils are distilled from all kinds of plants and used for natural fragrances, disinfectants, and are antibacterial. Some of the most popular essential oils for cleaning would be lavender, eucalyptus, lemon, lime, orange, grapefruit, pine, clove and tea tree oil. Need ideas on cleaning recipes?? Go here.